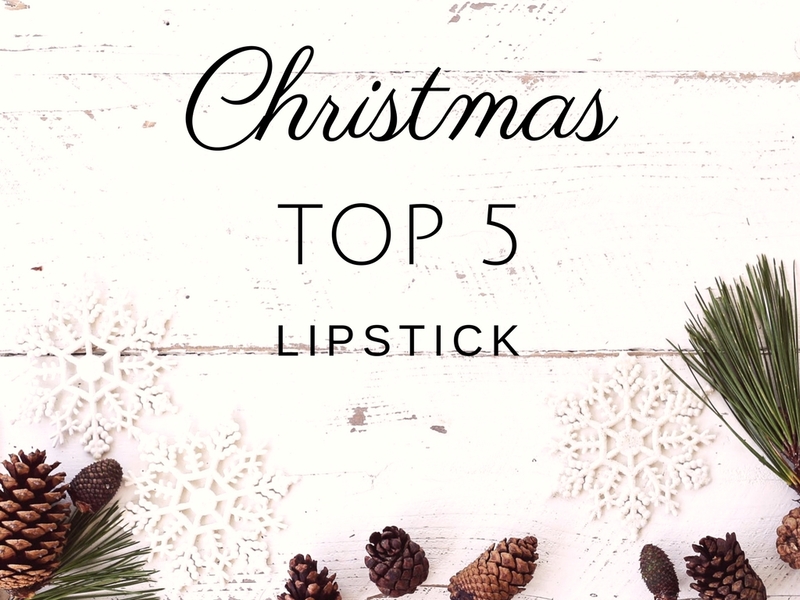 Last week I did my Christmas Top 5 // Nail Polish so today I’m back with the Lipstick part, these shades are all perfect for the holidays. They have different finishes, from sheer to really dark and opaque so you’ll definitely find the perfect colour for the perfect occasion. I’ve been wearing Ruby Woo on Christmas Day for the past 2 years and it lasts me throught the entire dinner, if you choose a more sheer colour you can take it off and reapply it afterwards. 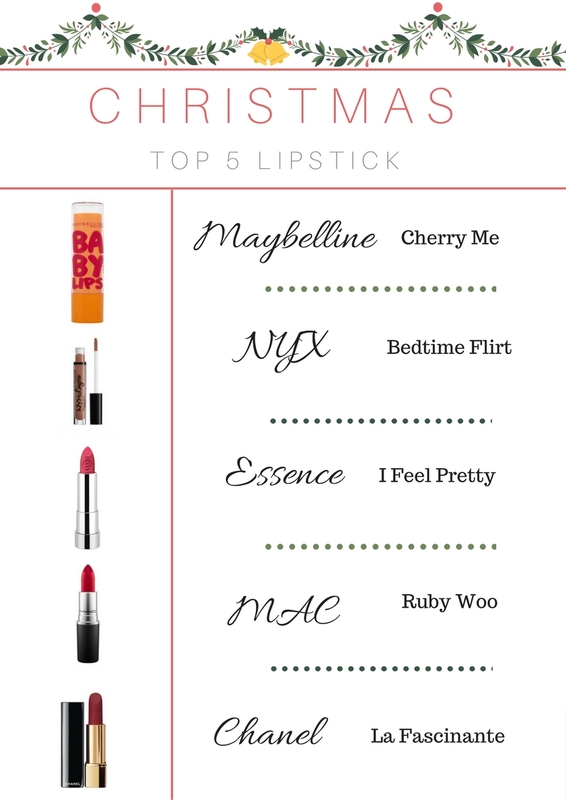 What’s you favourite Christmassy Lipstick? Do you rather go lipstick free to be able to eat comfortably? Let me know! Some of the links in the post may be affiliate, which means I get a small percentage from the sales if you use my link. This does not in any way affect the price you pay for the item, and absolutley does not influence my choice of items to show you. Oh, I love “Cherry Me” so cute and festive!! Ooooh I actually have the Baby Lips – love it! But, one of my 2 year old twins ate it a few days ago… whoopsie!! This is a great selection of lipsticks! Thank you, it’s seriously so pretty! I love that Bedtime Flirt! That bedtime flirt is GORGEOUS 😍😍 what a great post! Same here. All time favorite. Have you tried ruffle trim or exotic from the same line ? They’re gorgeous too. These shades are all so gorgeous! I think I would choose the Ruby Woo, it is more my shade. These are great options! Ruby Woo is my favorite! Nothing says Christmas to me like a good red festive lip. Love it! 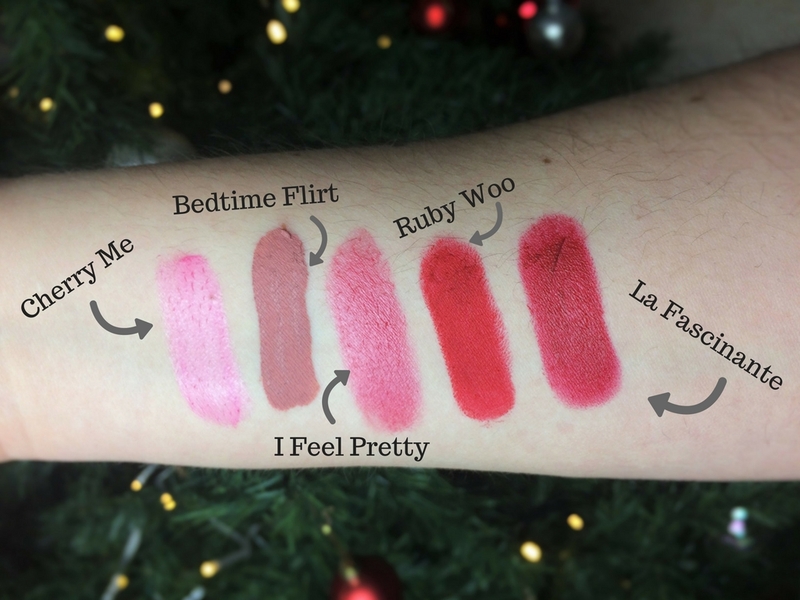 Love all these lipsticks for the holidays, now I know what I will be getting my daughter for her Christmas gift.